Davis, Birmingham Mayor Randall Woodfin, and local reports all indicate the decision was largely, though not exclusively, due to pressure from Jewish individuals and organizations over Davis’s outspokenness on Palestinian human rights and vocal support for boycott, divestment, and sanctions (BDS) against Israel. “It’s actually quite exciting.… The issue of Palestinian human rights, and its relation to the struggle for civil rights for people of African descent in this country, is finally being discussed in an open way,” Davis told Democracy Now! on January 11, adding that the BCRI’s decision appears to be an effort to sabotage black solidarity with Palestine. 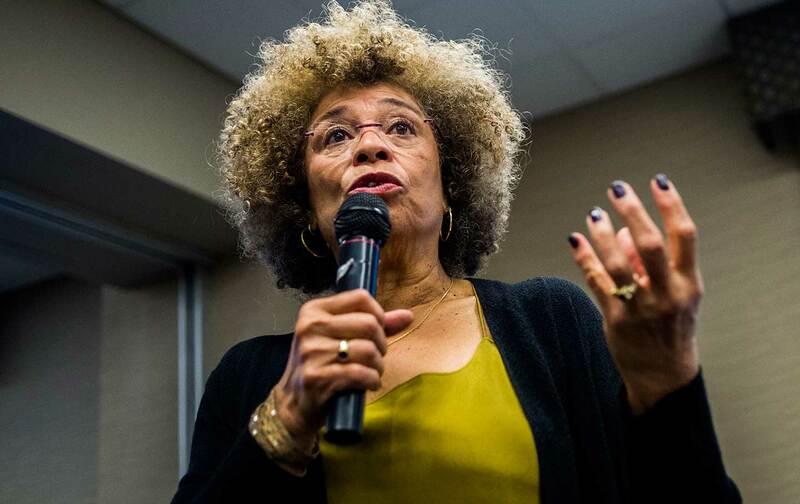 “This was not primarily an assault against me as an individual; it was an assault against a whole generation of activists who have come to recognize how important internationalism is,” Davis said. In its cryptic announcement on Saturday, January 5, the BCRI stated that individuals and organizations from “both inside and outside of our local community” had requested that the award to Davis be reconsidered. “Upon closer examination of Ms. Davis’ statements and public record, we concluded that she unfortunately does not meet all of the criteria on which the award is based,” but the BCRI did not specify what those criteria are. Several attempts to reach BCRI CEO Andrea Taylor were met with an initial willingness and then a drawn-out refusal to comment, as the story quickly became much more explosive than the BCRI likely anticipated. 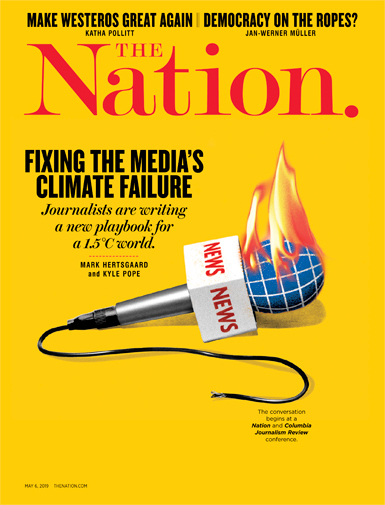 Davis and others have cited an article in the Birmingham-based outlet Southern Jewish Life from December 23 criticizing the choice to honor Davis, penned by its editor, Larry Brook—who told The Nation he has been careful not to call her an anti-Semite. It outlines aspects of Davis’s activism and political opinions that are common knowledge, including her support for Palestinian-American Rasmea Odeh, her incarceration nearly 50 years ago, and her former membership in the Communist Party. Reports in the Alabama outlet AL.com named the Birmingham Jewish Federation as one of the organizations expressing dismay at the choice of Davis, along with the Birmingham Holocaust Education Center, which sent a letter to BCRI on January 2 specifying Davis’s support for BDS, which is “very troubling as it targets the Jewish people exclusively.” Both organizations were approached and refused to provide comment. Maybe even more egregious than the BCRI decision itself is the fact that, as a museum dedicated to the heritage of the civil-rights movement and which honors figures who have spoken truth to power, it has left the matter shrouded in secrecy, dodging accountability and leaving plenty of room for speculation. For Thompson, the priority is honoring Davis in her hometown and showing that the BCRI decision does not speak for the community. “What I know to be true is that the silencing of black leaders and black women has been a perpetual thing—particularly in the South—for decades.” She says there is a diverse and inclusive group involved in organizing the alternative event, including Jewish residents. Even without all the facts out in the open, this incident is not occurring in a vacuum. It is the latest in a long-standing and widespread campaign to shut down those who are critical of Israeli policies and, specifically, those who promote Palestinian equal rights and BDS. Between 2014 and 2017, the nonprofit organization Palestine Legal dealt with nearly 1,000 incidents of censorship, intimidation, and suppression targeting speech supportive of Palestinian rights. “The Klan used to try and terrorize people who spoke out against racial terror and racial segregation, and unfortunately, the same tactics are being used here,” says Alicia Garza, co-founder of Black Lives Matter and strategy and partnerships director with the National Domestic Workers Alliance. The most glaring recent example of such efforts is the push to penalize those who boycott Israel through the Senate’s S1 Combating BDS Act, which has thus far stalled because of the government shutdown, as well as the fact that it pits the pro-Israel establishment directly against free speech—a red line for Democrats. Less than two months ago, CNN terminated its contract with commentator Marc Lamont Hill, a professor of media studies and urban education at Temple University, after Hill gave a speech at the United Nations in which he called for a “free Palestine from the river to the sea.” Hill has since apologized if his word choice was misconstrued as a call to harm Jews and clarified that he sees a binational state as the only way to guarantee equality and justice for Israelis and Palestinians. Hill doesn’t think people are being targeted because they are black. “I think people are being targeted because of the political possibilities that exist when you begin to see intersectional alliances resisting the Israeli state project,” he said, echoing Davis’s work linking the liberation struggles in South Africa, Ferguson, and Palestine. Hill said that if the BCRI’s decision to rescind its award to Davis was in fact because of her position on Palestine, it’s a testament to the effectiveness of BDS. “As much as people want to pretend BDS and international solidarity aren’t working, there’s something about this moment that suggests that the resistance to current political arrangements is working and gaining traction,” Hill said. It is worth noting that even as the BCRI and those who exerted pressure on it to rescind the award are under increasing fire and rightly on the defensive, it is in fact Mayor Woodfin, Marc Lamont Hill, and Angela Davis herself who have displayed sensitivities to Jewish concerns, addressing the need to combat anti-Semitism and to engage in dialogue about its place within the larger context of anti-racism and anti–white supremacist struggles in the United States. As Davis said, “Jews were the first white people to speak up in the civil-rights era, to speak against racism. I think we need to engage in the kind of conversation that will reveal the true meaning of anti-Semitism and help us to extricate ourselves from this McCarthyite effort to equate boycott strategies and solidarity strategies with anti-Semitism.” It is also worth noting that Birmingham’s first African-American mayor, who oversaw the founding of the BCRI in 1992, said the original inspiration came after his predecessor visited the Yad Vashem Holocaust Memorial in Israel and returned home with the idea of establishing a civil-rights museum.